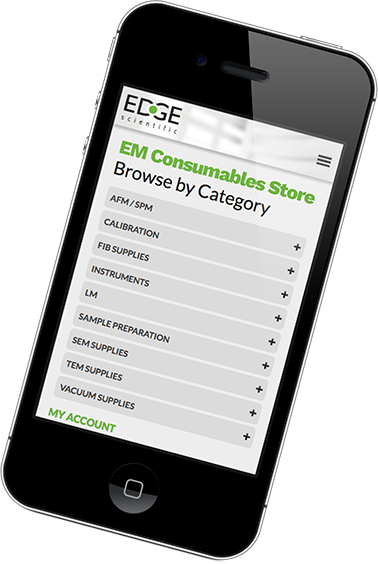 Edge Scientific is proud to provide a new nanotechnology solutions webstore by Canadians, for Canadians. Overview AFM/SPM cantilever tweezers AFM/SPM Disc tweezers Cryo Grid Box Tweezers Cutting Tweezers EM-Tec ESD safe epoxy coated precision electronic tweezers EM-Tec ultra-precision tips biology tweezers Gatan 3View Pin Tweezers High Prec. Locking Tweezers High Prec. Reverse Tweezers High Prec. Slim tweezers High Prec. Titanium Tweezers High Precision Mini Tweezers High Precision Super Alloy Tweezers High Precision Tweezers Plastic Tweezers Repl. Plastic Tip Tweezers SEM Stub Gripper Tweezers Value-Tec Fibre Grip Tweezers Value-Tec Fine Tweezers Value-Tec Strong Tweezers Wafer Handling Tweezers ZC Repl. Ceramic Tips Tw. ZE Repl. Ceramic Tip Tw.